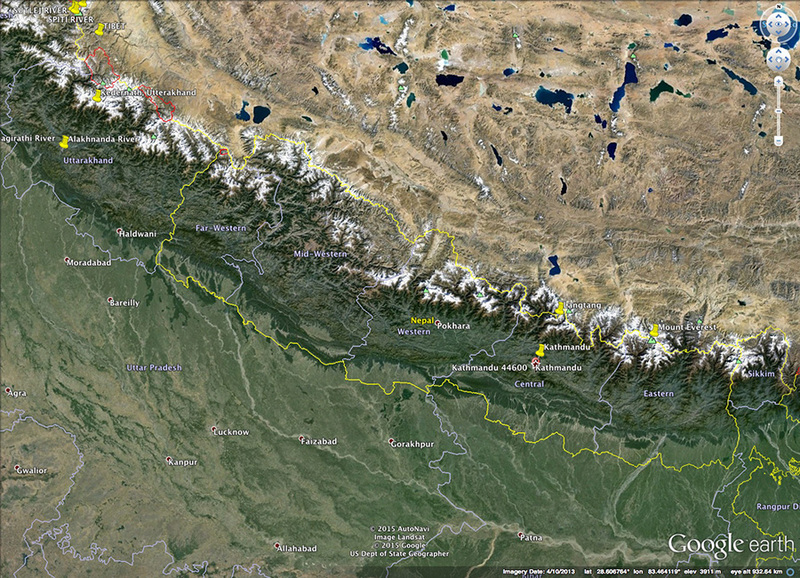 Google Earth has been used to display a map of the affected region. This image shows the epicenters for the main shock, and the two subsequent aftershocks). The main shock broke a large rupture (which is why it was such a large earthquake). The aftershocks 'decorate' the areal extent of the rupture as the Earth moves to accommodate the distortion caused by this enomrous release of stored elastic strain energy from the rock mass. Program eQuakes has been used to display epicenters for the main shock, and subsequent aftershocks, from the Lamont-Doherty Earth Observatory Global CMT Project. Image of the topography from the GMRT portal. 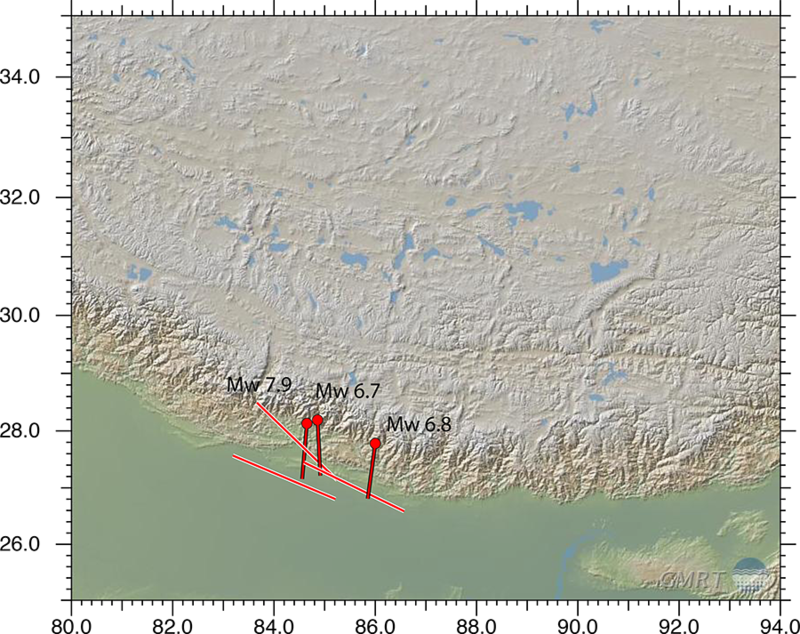 Evidently the main rupture was quite flat in its dip, and if it had broken the surface with that orientation unaltered, the surface break would have appeared far out in the Ganges plain, near where we would expect the outcrop of the Main Boundary Thrust (the southern line). However there were two substantial aftershocks, one at each end of the main rupture, and these define a more steeply dipping thrust. This has a curved strike, like a giant scoop on which the Himalayan rock mass moved south. The InSAR image now defines the same pattern. The question is whetyher we are looking at splays from the main rupture, or a later extension of it. The pattern of aftershocks in the coming days will help define the extent of the main rupture. 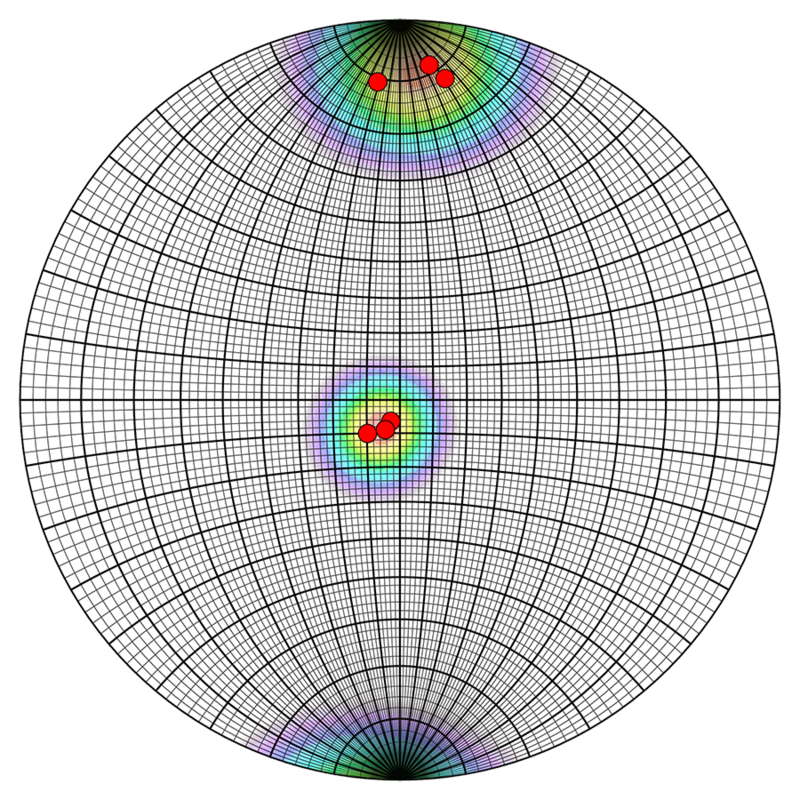 The stereoplot shows the orientation of the rupture plane, for the main shock, and the two substantial aftershocks. The solid lines show the direction of slip on each of those three planes. Epicenters for aftershocks up until May 1st 2015. 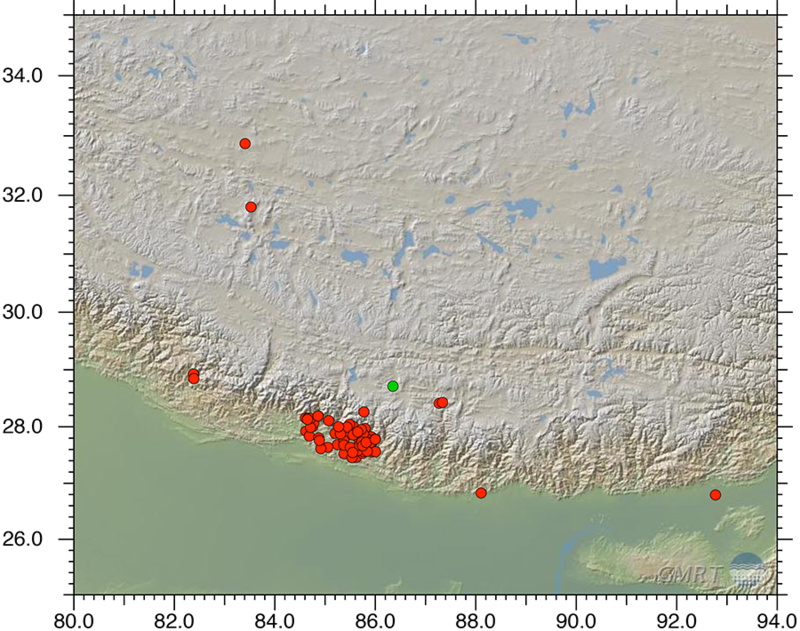 The clustering of epicenters defined by the aftershocks typically maps out the extent of the initial rupture. The rupture begins at the epicenter and propagates at great speed outward. The entire region above the rupture is the region we need be most concerned about, not just the places closest to where the rupture begins to run. Data from NEIC. Topography from GMRT.